The first LiS was such a joy to play, defs looking forward to the next one. Killed a player tonight and took his silenced, foregripped AK and the rest of his gear. Used that to then kill the scav boss (the first i've ever come across) and his two guards (as well as a few other player scavs). Had so much to loot I had to run out and drop my insured gear in the forest... made out with 3 kiver helmets with faceshields, gen4 armour, a silenced M4 and an AK74N. Next round, killed another player and took his silenced AK also. 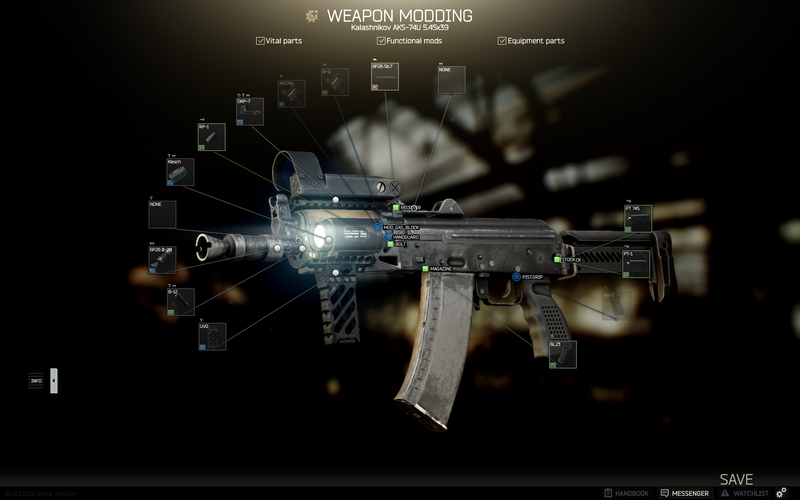 Have died once in the last two nights of Tarkov and that was to a scav just now (who have ungodly vision through trees). Have gone from being deadarse broke to a millionaire again and am just running around levels ignoring loot and looking for player kills. The game has heated up! If anyone needs a hand in tarkov, I'm dead keen to squad up. I believe the sale is still on for a short while also. Most traders now at level 2 and just hit player level 17. This means way more equipment can now be bought which has absolutely changed the game. With a bit of time spent in modding (which is also beautifully guided by the Gunsmith questline you get from the Mechanic) your whole approach changes. Both of these weapons have almost doubled their accuracy and halved their recoil. Instead of the careful single-taps of old, I can now put a half to a full clip on target. Adding a silencer to the AKM has also made running and gunning super easy as you're more in control of your area if you don't have to worry about drawing interest. Also haven't died now in three nights. I think I'm immortal. EDIT: haha, died. To a player scav who I'd emptied a full clip into. 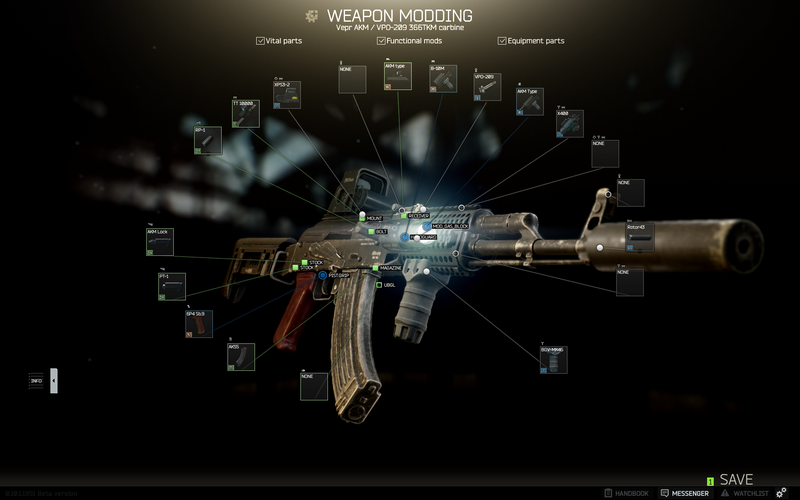 He's made off with a pilgrim (biggest backpack in the game), my modded AK, an MP5 and an AKS-74u (all but my AK were looted ingame). I was going to take a special exit too that costs 3000 roubles (which I'd also found ingame) and that was about 20 meters away... all because I got greedy and wanted to check the office in dorms for a rare key-spawn. Hell of a payday for that dude! Stardew Valley - Really enjoying this game now, got a couple of co-op servers going (Depending on who I am playing with) and we are making some progress that is good fun. It is that game that I enjoy finishing the night on, as it is nice and calming. Started a solo farm last night, and then went looking for mods that would help a bit. Got a couple that completely change the game and how it is played, for the better. I can now see my experience bars, not just when I get a level up. And I can view the map and see where all the NPC's are. So much better when I need to find that single bloody person for something. Factorio - For some reason I keep coming back to this and playing more and more. Slowly working out the best way to do things, and the best way to set my area up. And with all the new things added since I first completed it, there is a new challenge this time around. Pathfinder Kingmaker - Haven't played much lately, but did finally finish the starting quest to get my own kingdom. At this point the game completely changes, as I am now running a kingdom along with still playing an RPG... I am almost feeling overwhelmed by everything that I am trying to keep up with. But hopefully that becomes easier as I progress and get the right people making decisions for me. Rocket League - This is my go to game most nights, a game my brother loves and so we start with it most nights. Slowly ranking my way up in competitive (Or like last night... losing ranks). Just wish I could be a bit more consistant in my play. And not make so many stupid little misses. So uh, who else is addicted to RDR2? Easily the best game I have ever played. I had no interest in RDR2 but seeing some of the game-play it looks great - I'd love it if they'd release it on the PC. I might have to sulk playthrough GTA:V now. I'd imagine it would spoil a few things in RDR1 though... maybe. I'm currently milking the double bounty cache bonus in Diablo 3 by setting up my PC with a shortcut that'll allow me to create a second instance of the game using my second account... I can claim the bounty caches on both accounts then! I'm quite low on bounty mats on both account's Softcore mode so this works out well for me. Apart from that, I think the last time I went through a new game's story mode was Life is Strange 1... and Mafia 2 before that. I might play through Destiny 2's campaign sometime. Who is going to give it a try? I didn't hate the demo, felt just like Warframe but with flying? Reminds me I still need to get around to Titanfall 2 - everyone seems to say the campaign is pretty awesome. On sale at EB Games but none near me! Not many new games are of interest to me atm. I should get around to life is strange before the storm when I get a free moment. I've been playing body Corp committee too much. Been watching a tonne of Youtube vids and reviews on this and I must say, I'm intrigued. I haven't enjoyed the concept of Battle Royale so far but this one seems to do the combat in a sufficiently satisfying way, the comms system via pinging is suppose to be really good, and it's F2P and could be getting cross platform play... something that will get my bro and I playing together again since he's not exclusively on PS4. mate and I been playing APEX yesterday and today. probably close to 10hours all up. both level 14. haven't won a round but came 2nd and 3rd a few times. im enjoying it. its lighthearted but the guns are cool. overwatch style chars add their own flavour, and humour is similar. the ping thing is great we haven't needed to bother with mics. it feels fast a little bit like unreal tournament. will be playing more of it for sure. loving its free to play model. all the perks are basically skins or vocal lines (again like overwatch). so no need to pay for anything, but im sure they will make cash.